Renowned yet private, thriller writer Hayden Winters lives a life colored by lies. As he is deeply ashamed of his past, his hunger for an honest relationship and dreams of starting a family remain unsatisfied, and he can trust no one with his secrets. He’s determined to outrun his personal demons, but the charming old Peach Orchard Inn and a woman whose presence is as gentle as a sparrow’s song stops him in his tracks. Carrie Riley is afraid of everything from flying to thunderstorms, and pretty much of life itself. But meeting the enigmatic writer staying at the inn emboldens her to learn everything about him. When they discover a vulnerable boy hiding at the inn, Hayden is compelled to help Carrie protect him. Soon they’re led to a centuries-old mystery that haunts Hayden’s sleep, and his only safe haven is Carrie. As the secrets of the past and present cause their lives to become entwined, all that’s left to come to light is love—if the grim truth doesn’t tear them apart first. 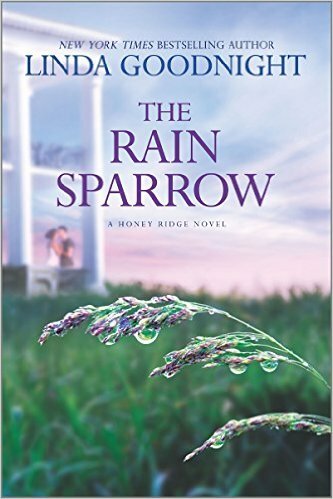 The Rain Sparrow is a lovely southern novel. It tells the story of Carrie and Hayden, as they come together and find that their connection and love makes them both stronger. I really enjoyed their story. It also is the story of how Carrie and Riley help Brody, a young boy with an abusive past. His story is heartrending and he is a very sympathetic character. There also is a parallel historical storyline set in the Civil War. It is woven in with the present day story seamlessly. The characters, interwoven storylines, and storytelling made this a very enjoyable read. It has more depth than a lot of women's fiction and romances. I have to add that I also really enjoyed the southern setting (Honey Ridge, Tennessee). I have not read the first book in this series, but this novel worked fine as a standalone. 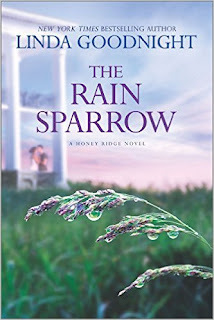 I recommend The Rain Sparrow for any reader who enjoys a well written romance story. 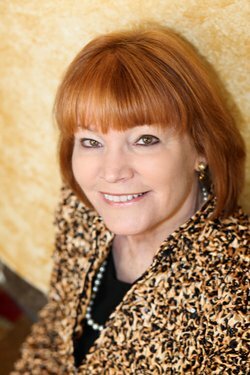 New York Times and USA Today Bestseller, Linda Goodnight is the winner of the RITA and other highly acclaimed awards for her emotional fiction. Active in orphan ministry, this former nurse and teacher enjoys writing fiction that carries a message of hope and light in a sometimes dark world. A country girl, she lives in Oklahoma. I've been on a Civil War reading kick lately so that aspect of the book really appeals to me. I'm glad you enjoyed this book! Thanks for being a part of the tour.